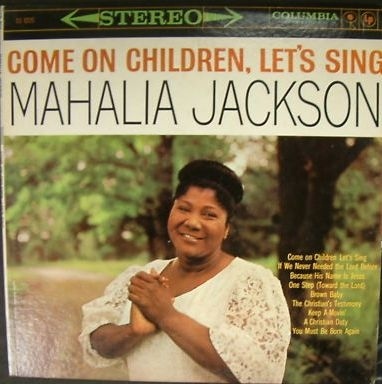 Mahalia Jackson (October 26, 1911January 13, 1972) was an African American gospel singer, widely regarded as one of the best in the history of the genre. 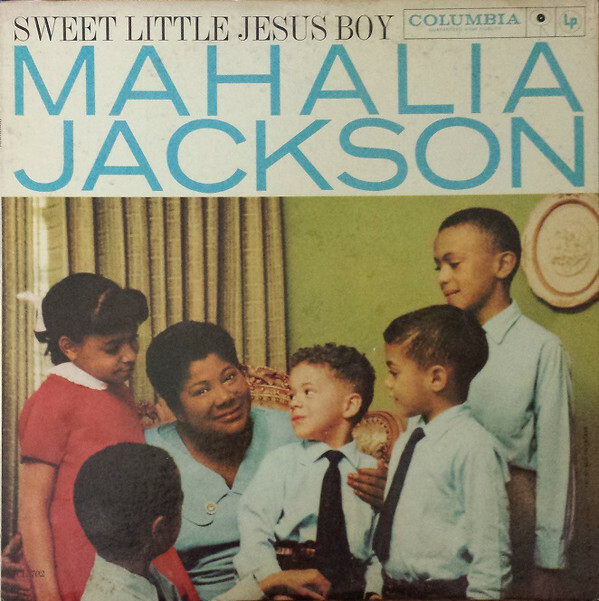 She grew up in the "Black Pearl" section of the Carrollton neighborhood of uptown New Orleans, Louisiana and began singing in a Baptist church. 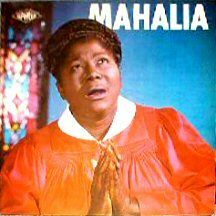 She moved to Chicago, Illinois in 1927 where she sang with The Johnson Brothers, one of the earliest professional gospel groups. 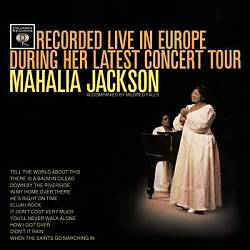 The Johnson Brothers broke up in the mid 1930s, and Jackson began her solo career, recording for Decca in 1937. 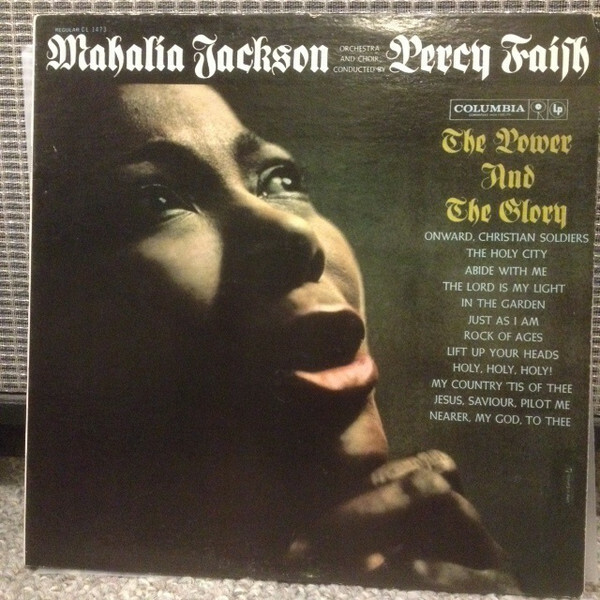 The result, God's Gonna Separate the Wheat from the Tares was only a moderate success, but Jackson became a popular concert draw. 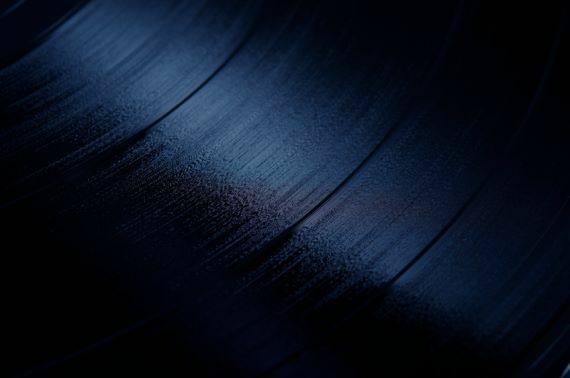 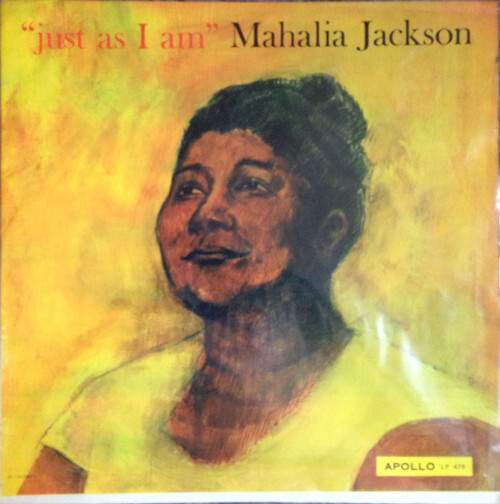 She experienced a recording hiatus until 1946 when she signed with Apollo Records, releasing several singles that are now highly regarded, though sales were sluggish at the time. 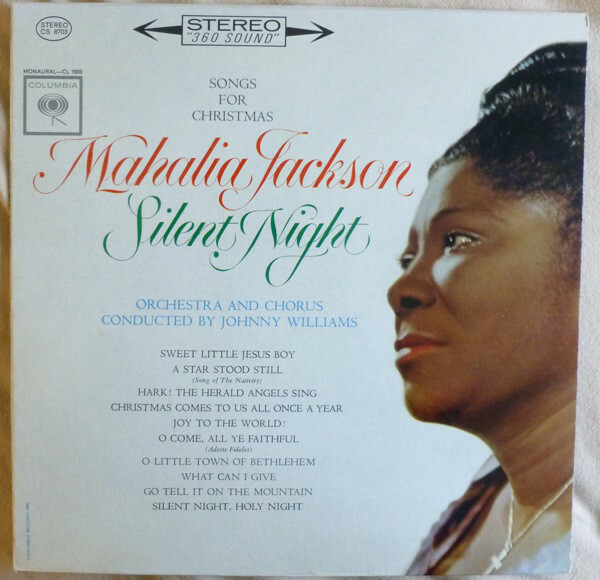 Move on up a Little Higher (1948) became a huge success however, and stores couldn't stock enough of it to meet demand. 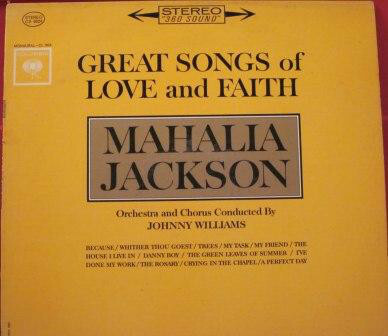 Jackson rocketed to fame in the US, and soon after in Europe. 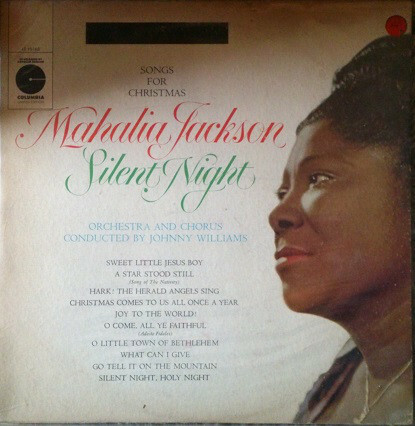 I Can Put My Trust in Jesus won a prize from the French Academy, while Silent Night was one of the best-selling singles in the history of Norway. 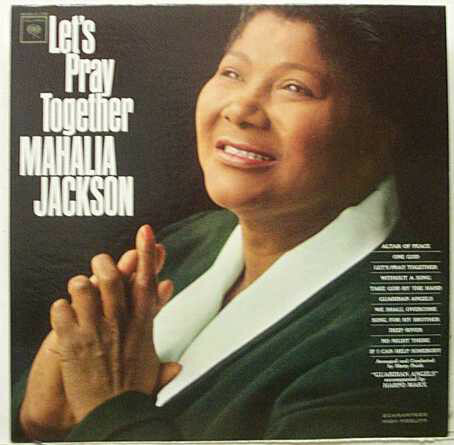 She began a radio series on CBS, and signed to Columbia Records in 1954. 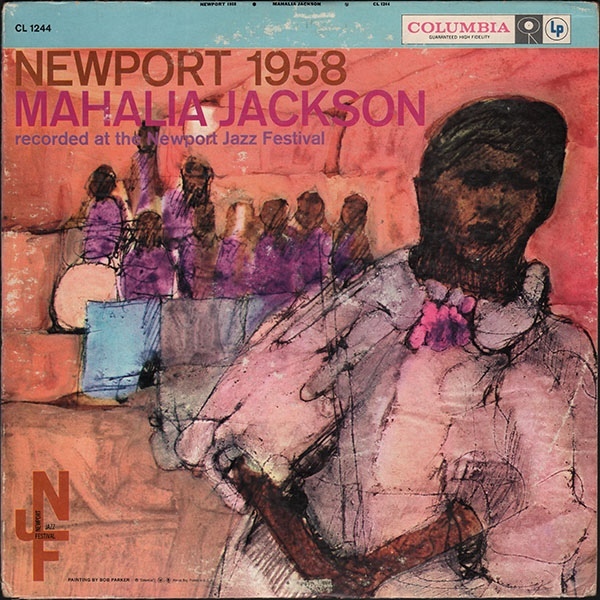 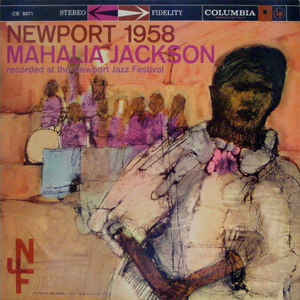 With her mainstream success came an inevitable backlash from gospel purists who felt she had watered down her sound for popular accessibility.Jackson's career in the late 1950s and early 1960s continued to rise when she recorded with Percy Faith, and performed at the 1958 Newport Jazz Festival and the inauguration of John F. Kennedy. 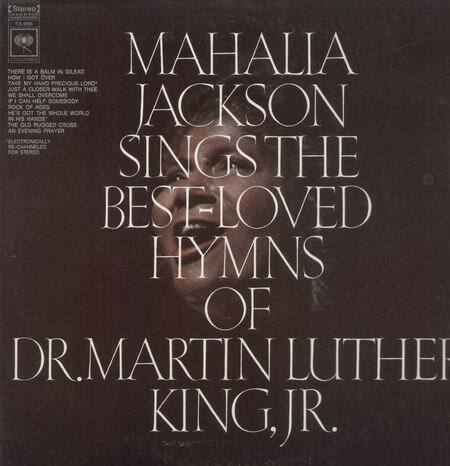 She also sang at the funeral of her friend, Martin Luther King, Jr. 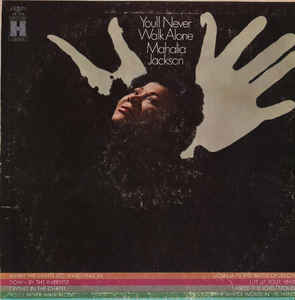 The late 1960s saw a downturn in her popular success. 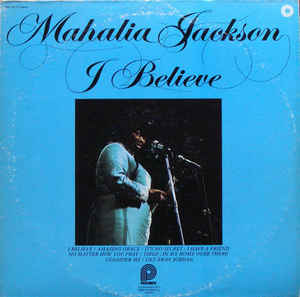 She ended her career with a concert in Germany in 1971; when she returned, she made one of her final television appearances on The Flip Wilson Show.Jackson died in 1972 in Chicago and was buried in Providence Memorial Park, Metairie, Louisiana. 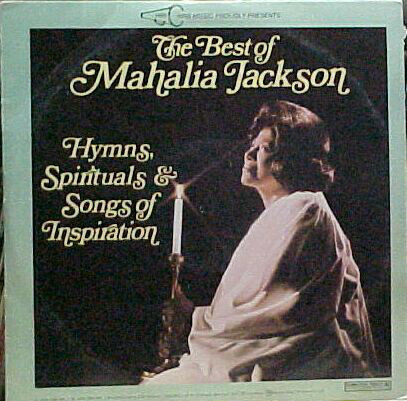 She was posthumously inducted into the Gospel Music Association's Gospel Music Hall of Fame in 1978. 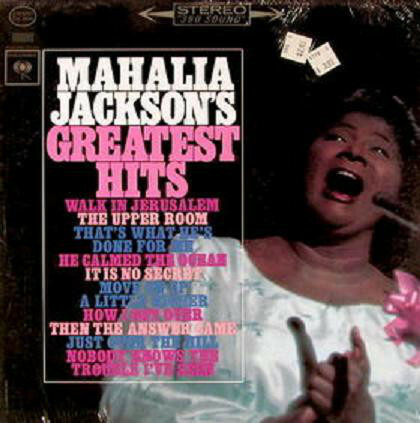 Apollo Record Label; Album cover and record appear new; Original first pressing; Mono recording; Laminated cover; Track listing: Move On Up A Little Higher Pt 1.; Move On Up A Little Higher Pt 2.; Hands Of God; It Pays To Serve Jesus; Jesus Is With Me; How I Got Over; I'm Glad Salvation Is Free; Said He Would; Didn't It Rain; Walk With Me; Just Over The Hill Pt 1.; Just Over The Hill Pt 2. 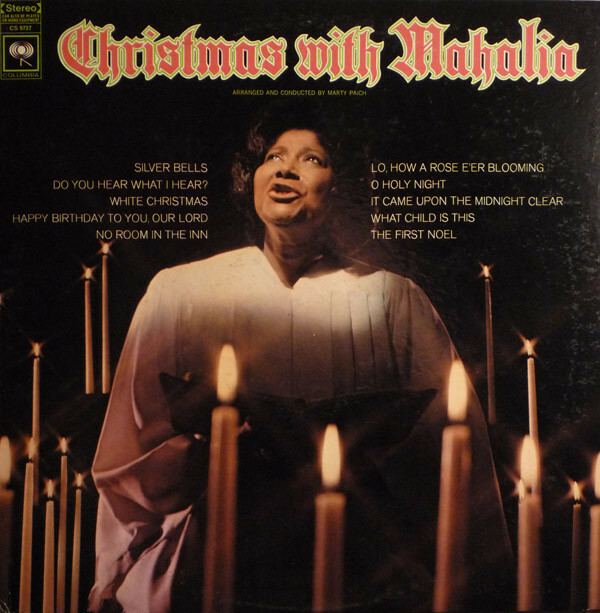 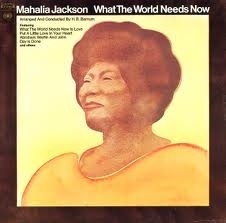 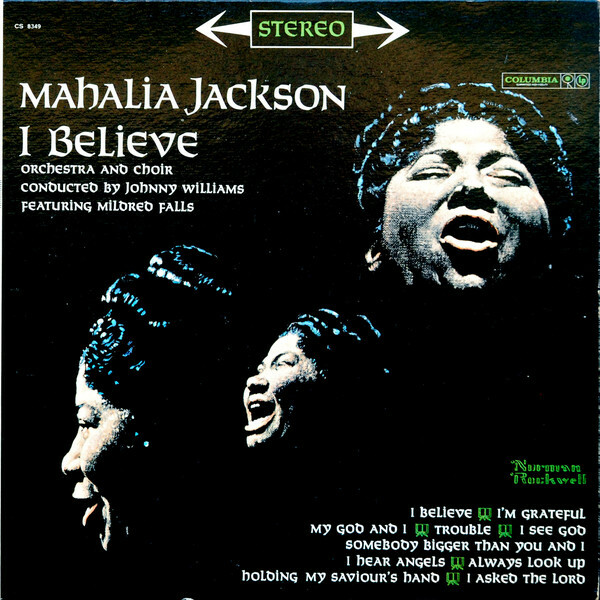 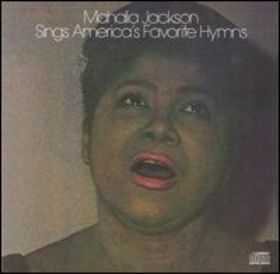 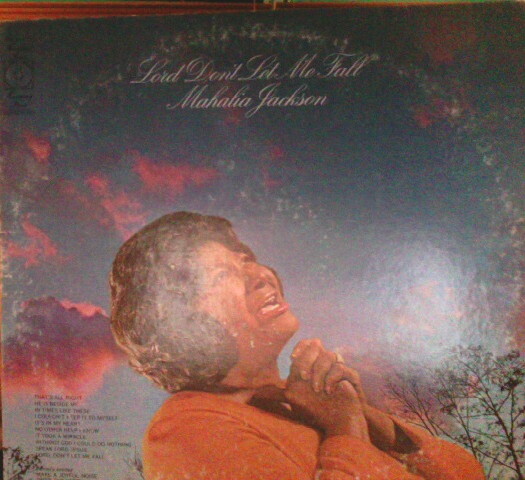 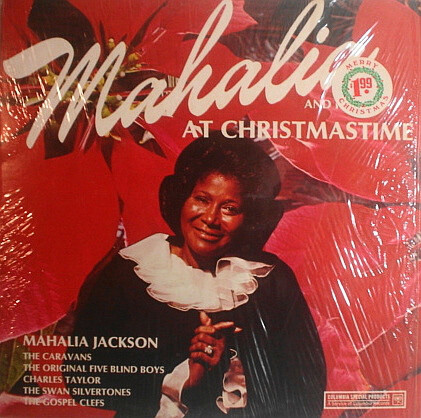 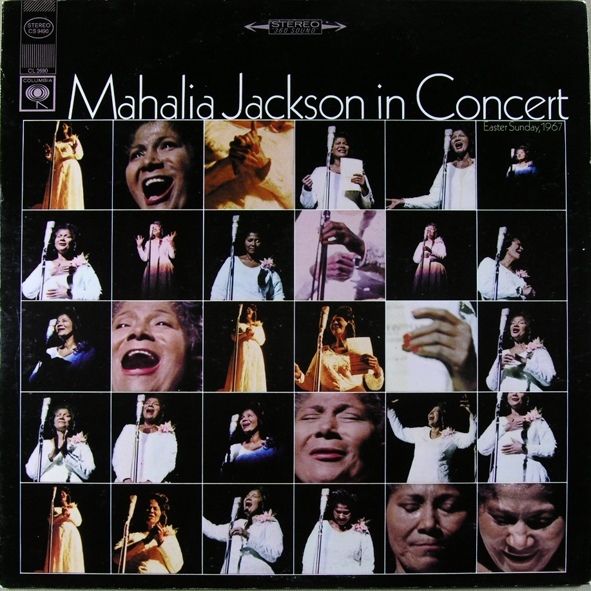 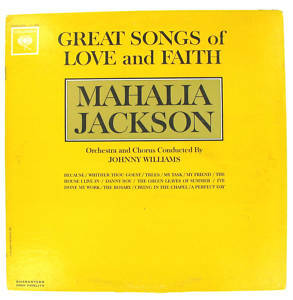 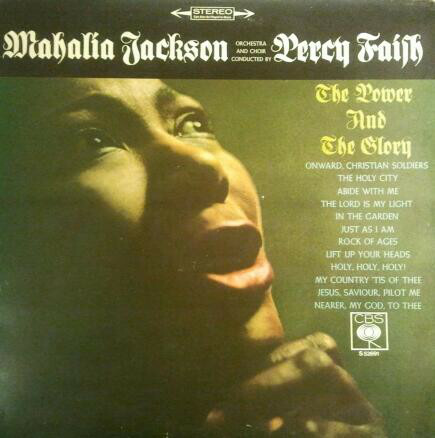 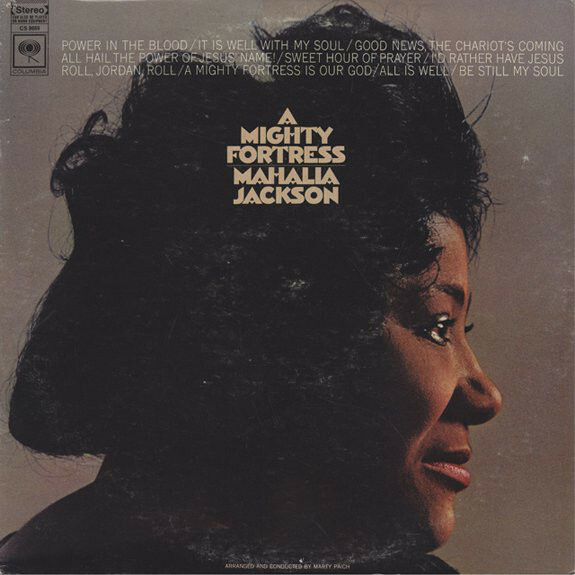 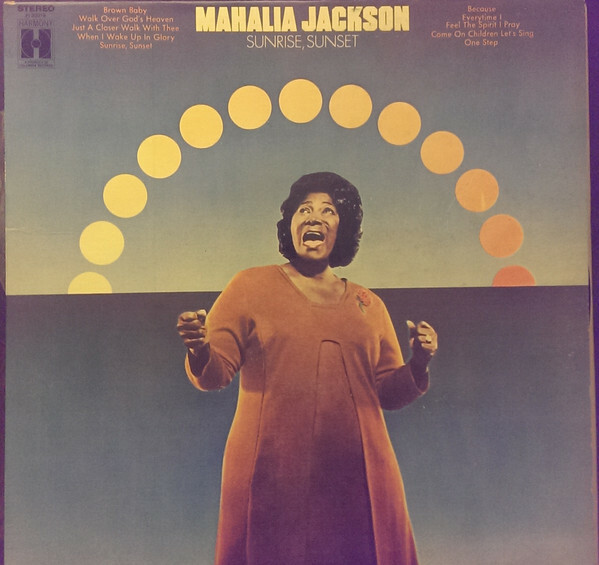 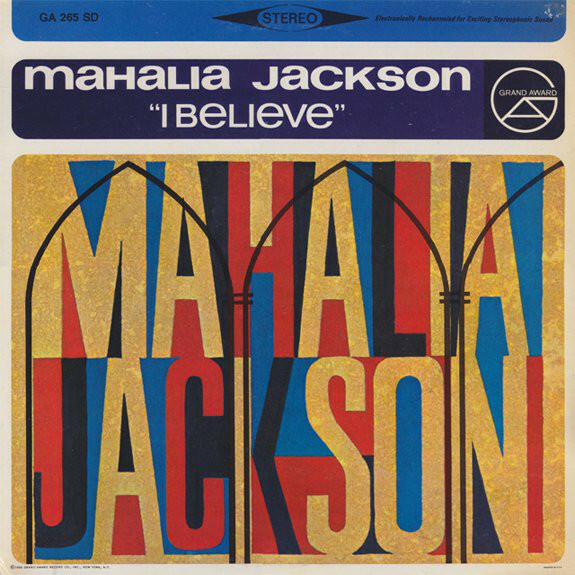 Mahalia Jackson Sings The Best Loved Hymns Of Martin Luther King Jr.
Columbia Record Label; Album cover and record appear new; Red and white two eye 360 Stereo Sound label; Includes the original inner poly sleeve; Track listing:A Mighty Fortress Is Our God; Be Still My Soul; Power In The Blood; I'd Rather Have Jesus; Roll Jordan Roll; Sweet Hour Of Prayer; Good News The Chariot's Coming; All Is Well; It Is Well With My Soul; All Hail The Power Of Jesus' Name!